One of the trends I saw on the floor at Macworld | iWorld 2012 is an increasing number of companies producing high-end audio and home theater equipment to use with your Mac (s aapl) and/or iOS devices. Everyone from the casual enthusiast to the demanding audiophile will want to take a look at the following products from both big brand names and small niche manufacturers. 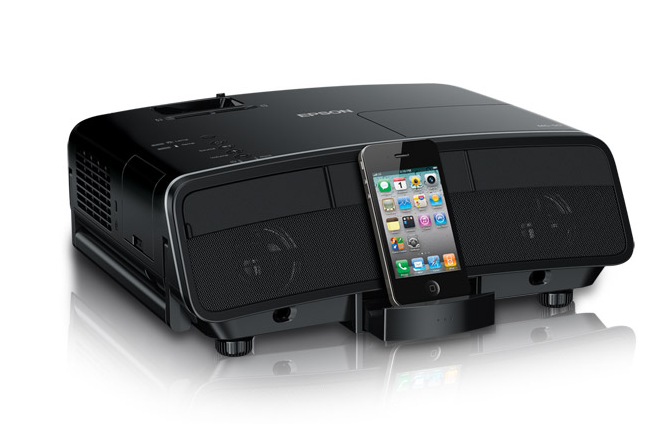 If you want to bring your Apple products into the home theater, you might want to start with the new Epson Megaplex projectors with an integrated iPhone/iPad dock. The Epson MG-850HD provides 720p video (and integrated speakers) from a 3LCD system with 2800 lumens: plenty bright to use for business presentations by day and movie screenings by night. You can quickly set up a screening for the kids by playing a movie from the iPad or running an app that allows video output over the 30-pin dock connector. Priced at $800, the Epson Megaplex is perfect for setting up an outdoor movie night for the kids and their friends. Crestron is well-known for its high-end home theater and automation equipment, and it’s a first-time exhibitor at Macworld, showing off the Crestron Mobile Pro control app for iOS. The app replaces proprietary touchscreen controllers, which can cost thousands of dollars, with a software solution that works just as well on your existing iPad. On the music side, we also have consumer and audiophile offerings. SRS Labs is showing off its iWOW 3D accessory to enhance the audio for headphones or the car stereo, as well as a music player app that incorporates the company’s sound processing technology along with some high-end features like 10-band EQ and tempo adjustment. 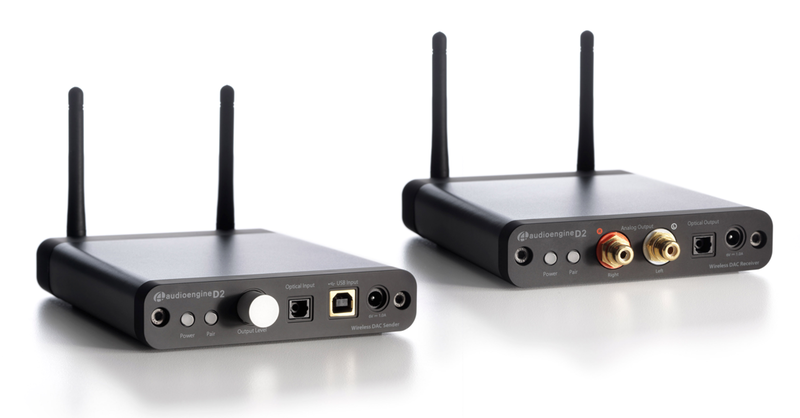 Audioengine is showing off its DACs (digital to audio converters) for improved sound quality to powered speakers. The D1 ($169) or the wireless D2 ($599/set) DACs work great with the Audioengine 5+ bookshelf speakers the company had on display. At the high end, Peachtree Audio is also showing off its converter offerings, ranging from the small DAC•iT ($449) to the world-class Grand Integrated ($4295). All these DACs are capable of playing high-resolution 24/96 audio files, far better than what you can get from CD. 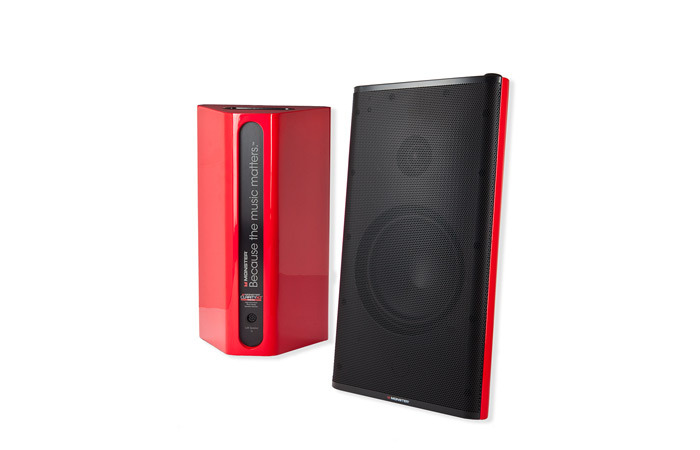 Monster has its Clarity HD bookshelf speakers ($749) on display. You can also check out the Audioengine 5+ speakers mentioned above. Bang & Olufsen is at the show with its BeoSound 8 iPhone dock boombox and the portable BeoLit 12 AirPlay system. MicW has a nice calibrated cardoid mic for the iPhone and iPad you can use with a sound pressure level meter iOS app to EQ your room or concert hall. Studio Six Digital is showing AudioTools, its acoustical test and measurement app. Blinq is demonstrating a universal remote app (and IR emitter) to control your whole setup and connect to a social program guide. Another remote is the VooMote Zapper, which combines an app with an IR blaster built into a case, coming soon to an Apple Store near you. That’s my list of highlights for sound, picture and video fans keen on what’s interesting at Macworld | iWorld this year. Let us know if you spotted anything equally interesting.